John Frederic Rowles was born on July 15, 1938, in Sophia, WV. The son of Lucille Hamlin and John Paul Rowles, he was raised in Beckley, WV. He was raised by his mother and Grady Allen after his father tragically died when Fred was two years old. Before his mortal coil unraveled, Fred resided in Nashville enjoying spending time with friends and family, especially enjoying movies, Jeopardy, Ellen, Lattes and milkshakes. Fred was a poet, world traveler, father, husband, grandfather, and award-winning documentary film producer/director and an all-around good egg. His journey has taken him through educational television, US Army service, advertising, and ultimately forty years with United Methodist Communications. Over the last year, Fred’s health issues became more and more complex. Fred's indominable spirit throughout these challenges was incalculable and he rose to each hurdle with the spirit of a peaceful warrior. Over time these health-related challenges became the perfect storm (one that he could not weather?) that would prove to be his last, and early on Tuesday morning, after April 10, 2019, he died peacefully. Fred is predeceased by his parents and his wife, Ruth Ellen Dawson Rowles. He is survived by his daughter, Allyson Yvonne Bates and his son, Russell Allen Rowles. He is also survived by four grandsons, and a sister, Susan Roebuck. He had three nieces and one nephew. Services are to be held on Tuesday, April 16, 2019 at Blakemore United Methodist Church with burial and reception at Harpeth Hills following. This is the best brother in the world. I could never say one negative word about him. God blessed us in so many ways but most of all being raised in a wonderful loving Christian home. Our dad was the epitome of being a Christian. Freddie grew into the same type of man as dad through his undying love for Freddie. Freddie would want everyone to know what our dad meant to him. To our friends in WV here is one of the most precious people to ever grow up there and he never forgot his roots. There was no better brother in this world. We were blessed with a very loving Christian family. To all of you who knew us you know Freddie was a product of his dad’s raising. His dad of course was Grady Allen. I worked with Fred at United Methodist Communications for many years. He was one of my favorite colleagues, mainly because of his sense of humor and upbeat spirit. He loved puns and we had fun telling each other the latest one we’d heard. Fred made many fine films, but his greatest contribution was his sunny presence and perpetual positive spirit that he shared with everyone he met. If only there were more Freds in this world. I’m so grateful that I had the opportunity to work with and enjoy him. I shall miss him. My condolences to his family and friends. Fred Rowles did not live “accidentally.” He lived every moment of life with great thoughtfulness and intentionality. Patiently, consistently, he did his very best with everything and everyone entrusted to him. Thank you Fred, for your love and care. May your spirit continue to live forever in us, in God, and in the world you loved so much. Fred was one of the most talented and caring people I ever met. Fred, Russell Scott, Ronny Perry, Lafayette Richardson and I traveled the world together, sharing stories of lives transformed through United Methodist giving. And I am probably the only person Fred ever saved from a wild boar attack in India. So I most definitely owe my life to him. I will miss you, friend! Fred was a very kind and patient man. I worked at UMCOM and I enjoyed so much the times we were at lunch at the same times in the break room. 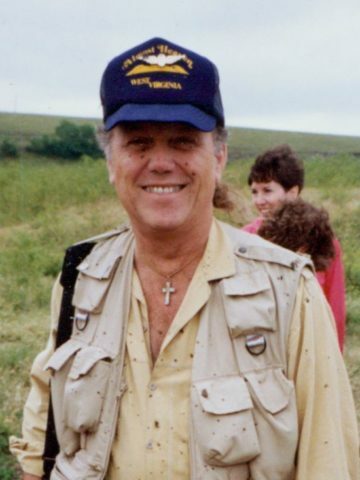 Fred was always so funny, and he had so many interesting stories to tell about his travels around the world with Ronnie and Barbara filming mission projects. And he often spoke lovingly of his Ruthie. He loved your Mother and all of you so much. I am so sorry to hear of your loss. Fred was my special amigo. I met him in Evanston. He would come there often and visit with Don Moyer and me. Then I had the privilege of working with him in Nashville. We shared many stories. I will hold him in my memory forever. Until we see each other again, may God hold you in the palm of his hand.